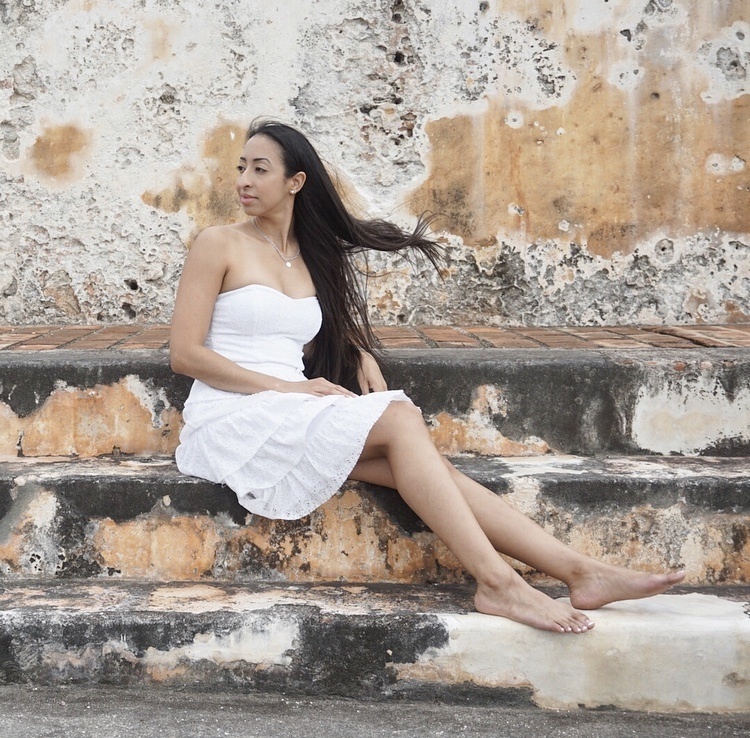 For my 30th birthday I took a solo trip to San Juan, Puerto Rico. San Juan is the capitol of Puerto Rico and its also the largest city on the island. San Juan is known for its nightlife, cobblestoned streets, and colorful colonial Spanish buildings. There are so many things that I did and saw while in San Juan. That I can’t sum it up in just one blog post. I’m going to break up this trip into multiple blog posts. The hotel that I stayed at was the Hotel El Convento. I chose this hotel for the location it was right in the heart of Old San Juan. It had an old world historic charm that I found fitting for visiting Puerto Rico. Hotel El Convento is actually apart of the Small Luxury Hotels of the World and the Historic Hotels of America. My room was a superior room that came equipped with a queen bed, Spanish furniture and a Juliet balcony. You can read more about the Hotel El Convento here. 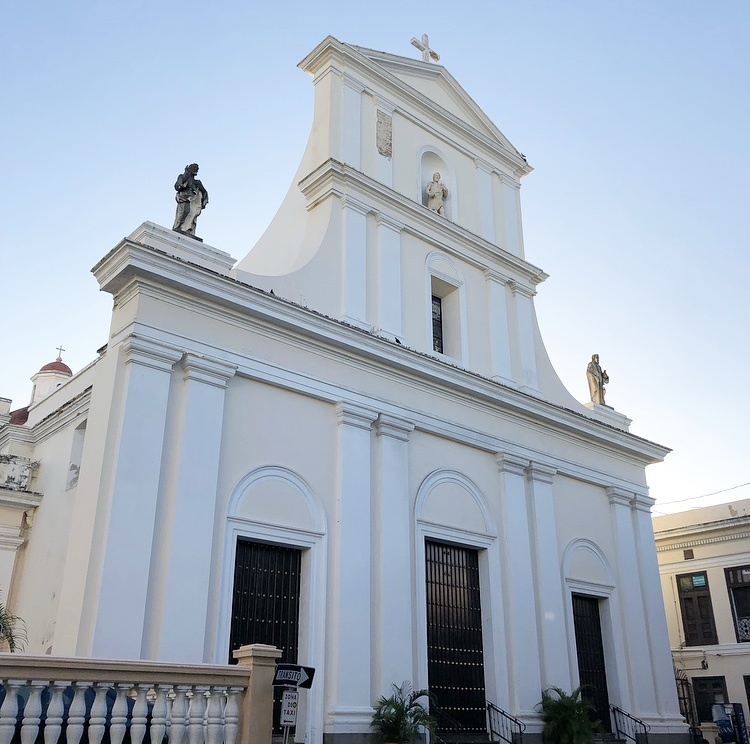 Across the street from the Hotel El Convento is the San Juan Bautista Cathedral. 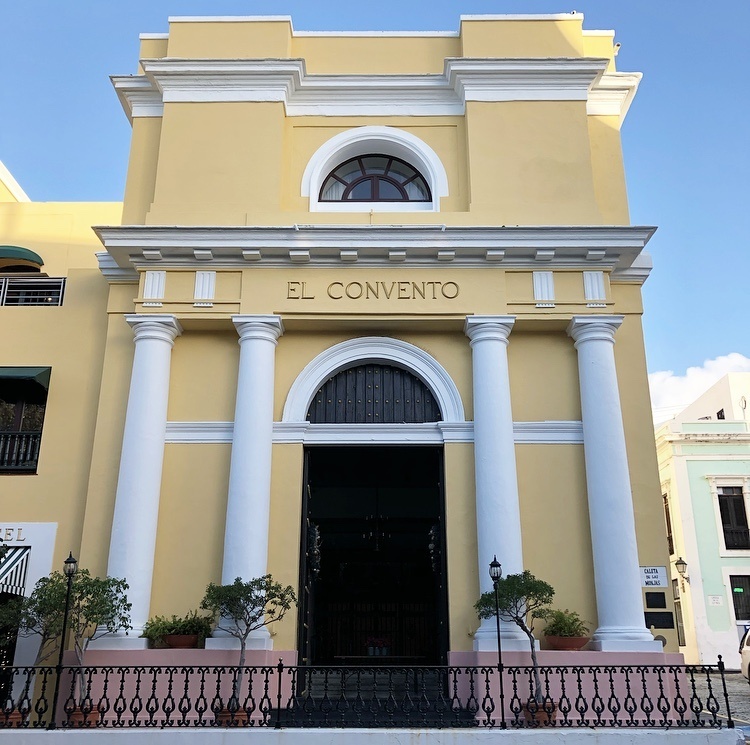 It is one of the oldest buildings in San Juan and Ponce De Leon is buried in a white marble tomb inside. The Cathedral was absolutely stunning with its original architecture intact and the alters were beautifully decorated from the holidays. The Cathedral is currently going thru renovations due to the recent hurricane that passed. However, it’s still open to the public during the renovations. After checking into my hotel and exploring the Cathedral I walked over to the two forts in Puerto Rico. Starting with Castillo San Felipe Del Morro. It’s a 16th century fort that overlooks the entrance to the San Juan Bay. It is named in honor of King Philip II of Spain. The fort has six levels, it was build by Spanish engineers and according to the National Park Service it is the largest fort built by Spain in the Caribbean. When you approach the fort there is an open field where you can find people walking along the bay, laying out on the grass, and kids flying kites in the afternoon sun. Castillo San Felipe Del Morro protected the City of San Juan from attacks by sea where as its sister fort Castillo De San Cristobal protected the city of San Juan from attacks by land. The fort Castillo De San Cristobal covers 27 acres. 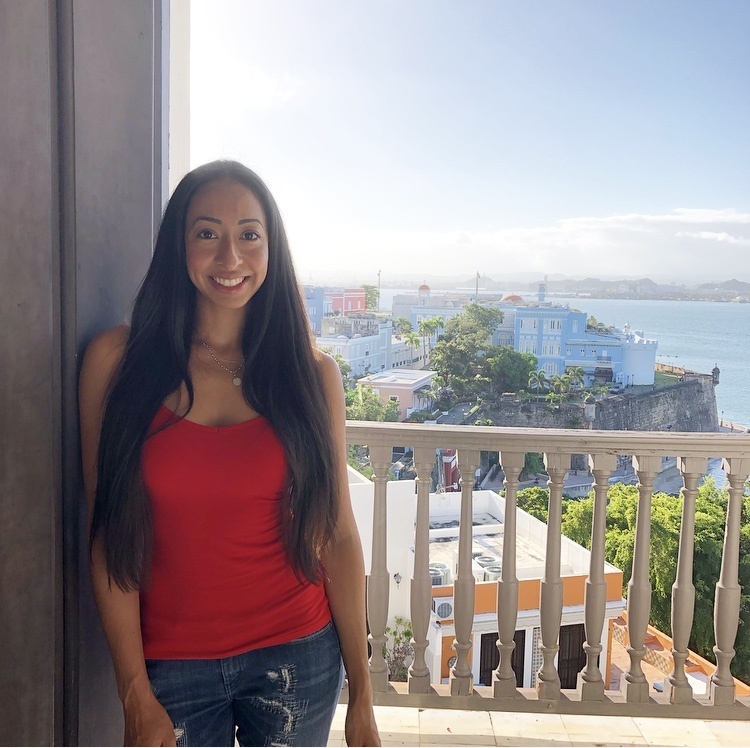 When I reached the top level of the fort I saw the most beautiful panoramic view of Old San Juan. I stood up there overlooking the city for some time letting the wind blow through my hair. As I was making my way back to the hotel one night. I came across a restaurant called Verde Mesa. When I arrived it hadn’t yet opened. I was a few minutes early but there was already a line to get in. Since it was just me I chose to sit at the bar. As I got seated I looked around and noticed that the restaurant wasn’t very big at all. However, it felt cozy and intimate with how it was decorated. It had an old world eclectic feel to it. 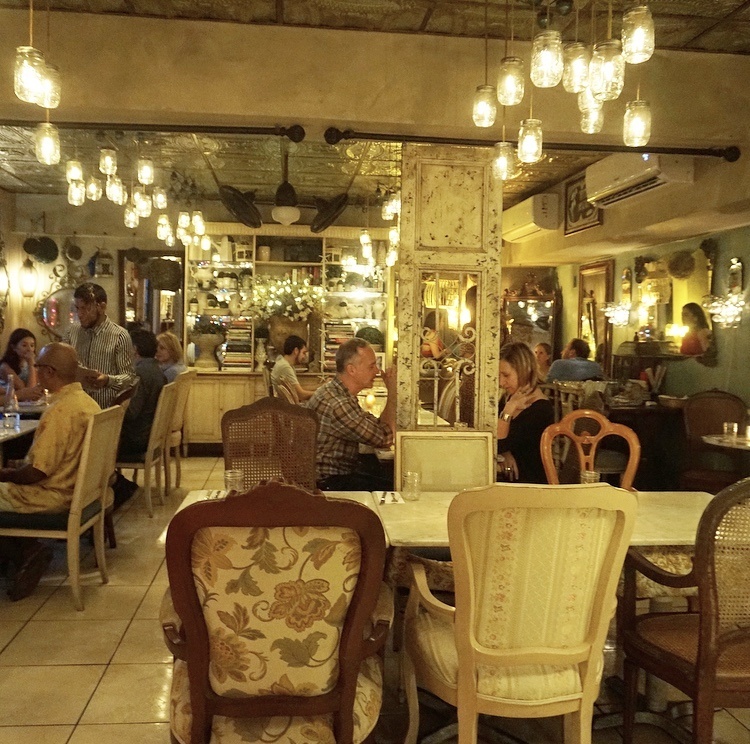 The menu is influenced by Mediterranean and Caribbean cuisine. I ordered swordfish with dried fruit escabeche for dinner while sipping on a dessert wine, Pannon Tokaj Dominium Late Harvest. I wasn’t sure what to order for dessert but the bartender recommended the purple cloud. The texture felt light but it was very sweet. My taste buds approved. I had lunch one day at the Barrachina restaurant. 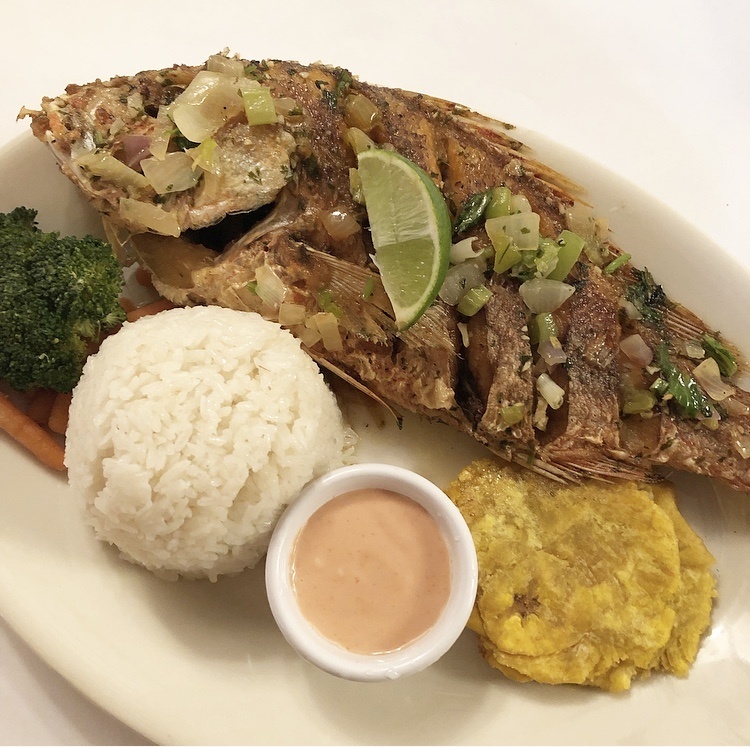 I ordered a whole red snapper, it was served with rice, beans, and fried plantains. This meal was so delicious that I ate it all. The Barrachina is also where they say the Pina Colada was invented. I ordered a Pina Colada while I was there and it did not disappoint. I had a late lunch one day at El Jabarito. This was the most colorful restaurant that I’ve ever been inside of. I ordered bacalaitos (frid cod fish) as an appetizer because I was starving. For lunch I ordered camarones al ajillo (shrimp in garlic sauce) with rice and beans. This meal hit the spot after a morning of walking around Old San Juan. 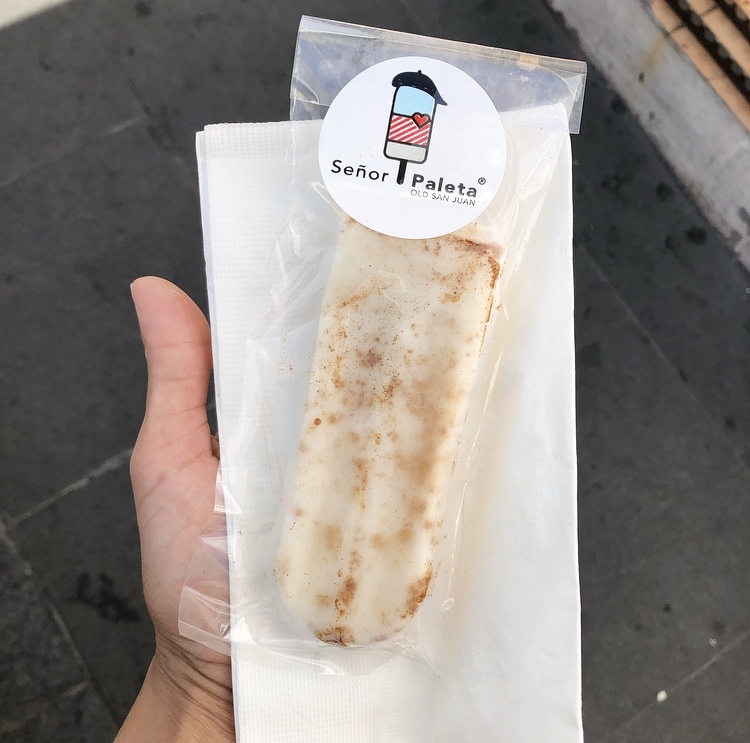 If you have a sweet tooth then look no further than Senor Paleta. I first came across Senor Paleta as I was walking around Old San Juan. There was always a line outside and I couldn’t for the life of me figure out why. All anyone would tell me was that it was a really good ice cream shop. Senor Paleta specializes in the creation of handmade popsicles of gelato and sorbet. They have a variety of flavors with natural fruits and nuts. I got a popsicle flavored Trembleca and it was delicious. On the night of my birthday I went to one of the major hot spots I kept hearing about La Factoria. This bar had three different rooms that you could lounge in, each one with a different menu of drinks. As I made my way thru each room I ordered a glass of coquito to start, next a madalla and then danced the rest of the night to Salsa. Before I made my way back to my hotel I stopped next door to La Sombrilla Rosa which was playing the best mix of reggaeton. Here, I tried Sangria in a pouch called gasoline. I knew from the name that it was going to be good. One day I went to the beach. 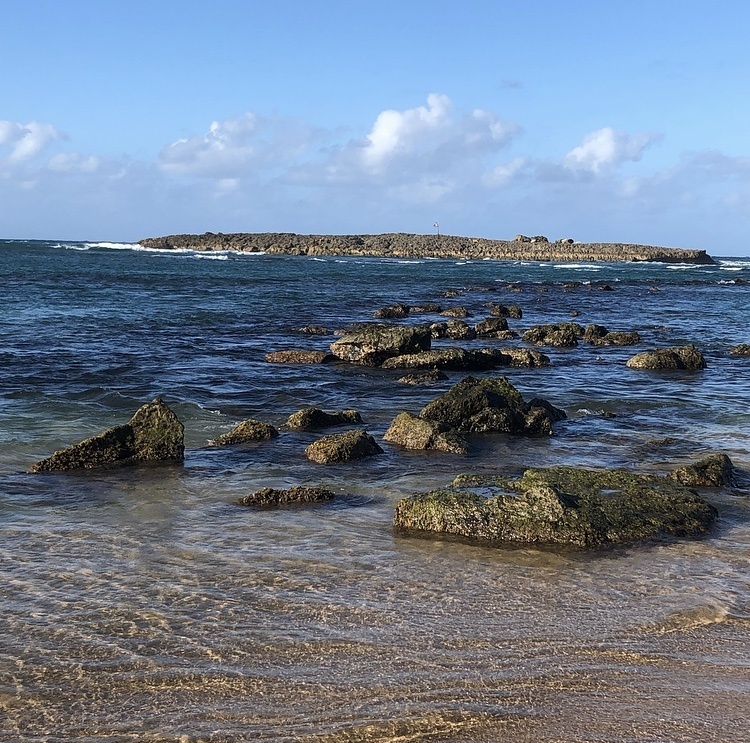 I visited Balneario El Escambrón about 20 minutes east of Old San Juan. I laid out for a couple of hours and just enjoyed the beach. The water was freezing, I could only stand to be in it for so long. It felt amazing though, and the view of the rocks nearby made it very picturesque. 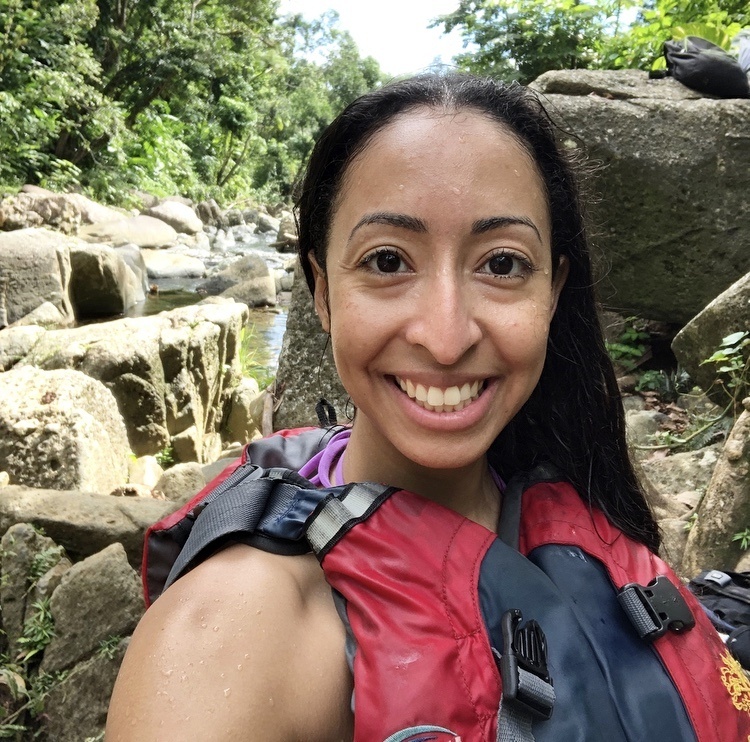 I signed up for an excursion to hike thru and explore El Yunque. El Yunque is the only tropical rainforest in North America. After we hiked for a bit we made a stop at this open area where there were, rocks among the water, a beautiful waterfall and a rope swing that you could jump from. We made a few stops along the way. One of which being a 25 foot cliff dive that I can check off my Bucket List. You can read more about El Yunque here. After hiking through El Yunque we made our way over to Laguna Grande Bioluminescence Bay. We kayaked for two hours and words can’t described how I felt when we reached our final destination. It was breathtaking. I was told that the bioluminescence was difficult to catch on camera so I ditched the electronics and decided that this was something that I wanted to experience rather than document. You can read more about the Laguna Grande Bioluminescence Bay here. The Casa Blanca Museum has one of the prettiest views of San Juan. This house was built for Ponce De Leon, however he died before he could see it. It now houses 16th and 17th century artifacts. It’s worth the visit to see the grounds, walk thru the gardens and seeing the style of furniture used back in the day. It also has the prettiest view of San Juan. You can even see La Fortaleza from one of the balconies. 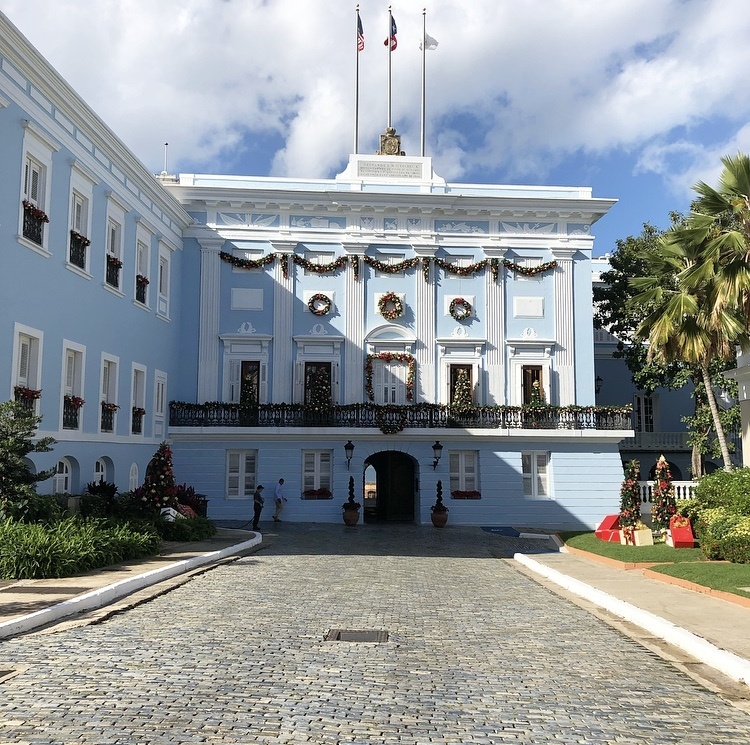 La Fortaleza is the palace where the governor of Puerto Rico resides. Its absolutely beautiful. When I stopped by the front gates I noticed that it was well guarded by security. It was also still decorated from the holidays. Looking at it up close its a grand blue building with a lot of detail in the architecture. As I made my way back to the hotel to rest for a bit I came across street that had a bunch of umbrellas hanging up above it. It was called Paseo De Las Sombrillas. The umbrellas were all different colors and in the corners had #puertorico printed on them. 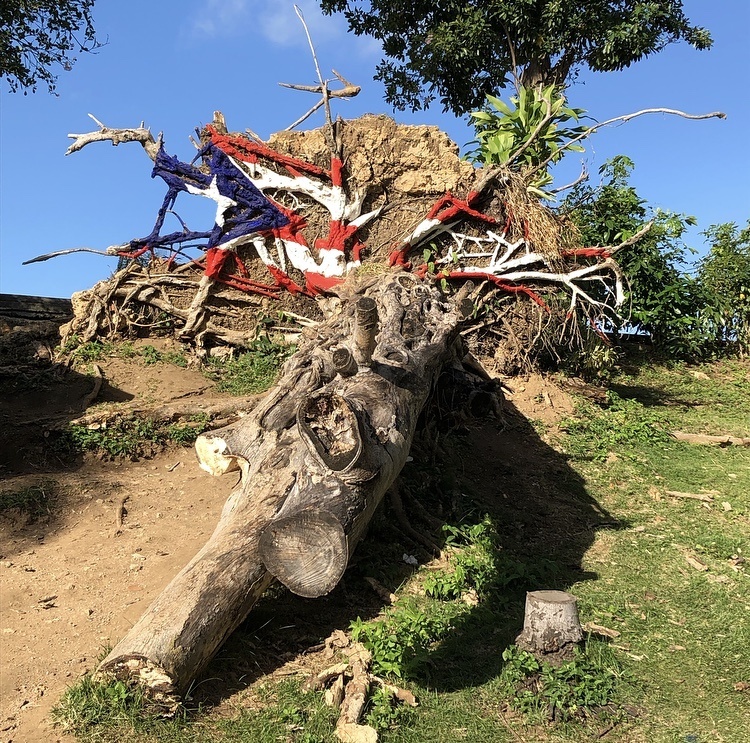 Its an outdoor art exhibition that invites tourist to appreciate the art of the island. It reminded of the Umbrella Sky Project I saw in Miami a few months ago. Within walking distance of my hotel was the Paseo De La Princesa. Which translated in English means, Princess Walk. This is a restored walkway where you can sightsee historic buildings, sculptures, and view the San Juan Bay. Along the Paseo De La Princesa you can find a promenade that hosts an artisan market, I was walking thru right as most of them were setting up their booth for the day. If you are looking for a nice stroll thru Old San Juan then walk thru the Paseo De La Princesa. You can read more about the Paseo De La Princesa in a future blog post. 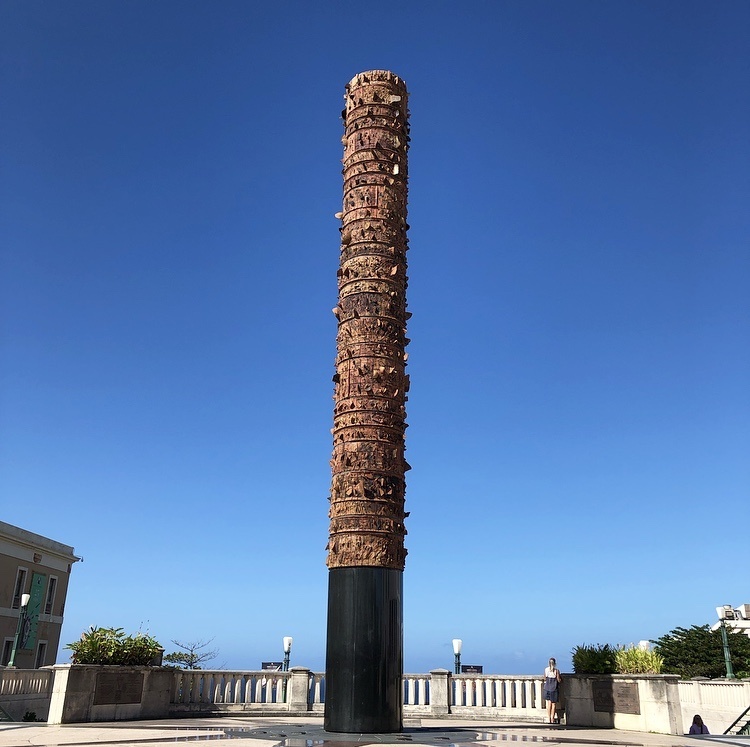 There is so much to see and do in San Juan, Puerto Rico. I throughly enjoyed this trip. It was a great way to start off the year and spend my birthday. I can’t wait to go back and explore more of the island. I vlogged bits and pieces of my trip while I was there. 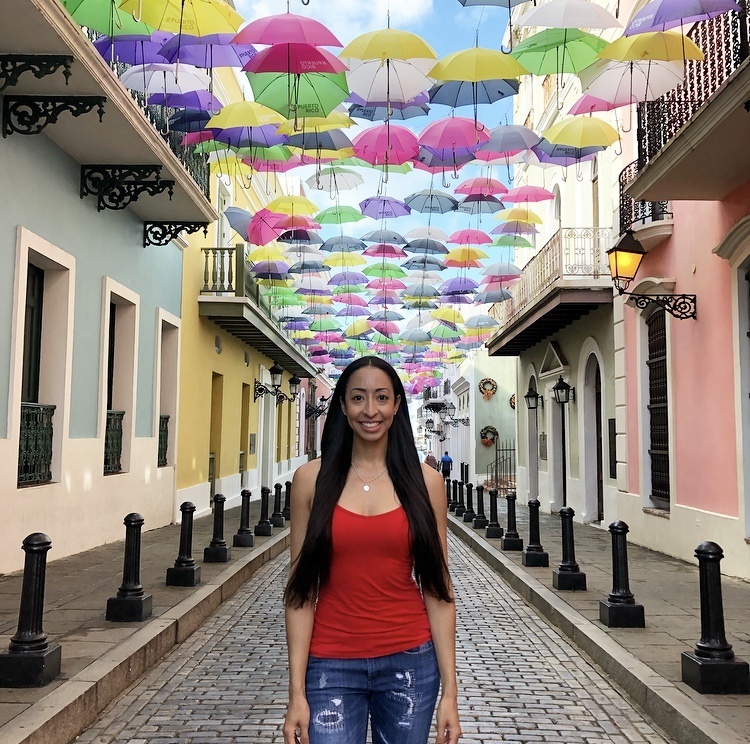 You can experience San Juan Puerto Rico for yourself in the video below. Don’t forget to “Like” this video and to “Subscribe” to my YouTube channel here so you can see the next video that I will be posting. I hope you enjoyed reading this blog post. If you have any questions please comment down below.